We are here with the vast knowledge in TYPO3 with experience over 8 years, to build a master-class websites using TYPO3. Kalpavruksha Technologies is the perfect choice for you to outsource your TYPO3 websites. One of the granddaddies of CMS, TYPO3, originally released in 1997, is a battle-tested, tried and true open source enterprise-grade CMS. Features include a built-in WYSIWYG editor, versioning and easy rollback, user-based permissions, SEO-friendly URLs, and thousands of plugins to extend and customize the website. WordPress is an online, open source website creation tool written in PHP. It's probably the most powerful blogging and website content management system (or CMS). WordPress powers more than 29% of the web. Neos is an open source Content Application Platform based on its own PHP framework Flow. A set of core Content Management features is resting within a larger context that allows us to build a perfectly customized experience for users. 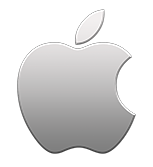 If there is one platform that has given a whole new definition to the word technology, it is undoubtedly the iOS. This can be used on a variety of Apple gadgets such as the iPhone, iPad and iPod Touch. With Android market share crossing 82% in 2015 globally, android continues to maintain its dominant position in the market. With this increased popularity, android has become a need rather than luxury for businesses. A typical Android app is designed for a smartphone or a tablet PC running on the Android OS. Responsive Web Design responds to the requirement of user by changing the layout of website according to the device being used. The layout changes according to the capabilities and size of the device. 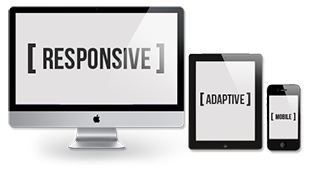 Responsive web changes the appearance of a website dynamically, depending on the screen size of the device being used. Check more about our services in detail!